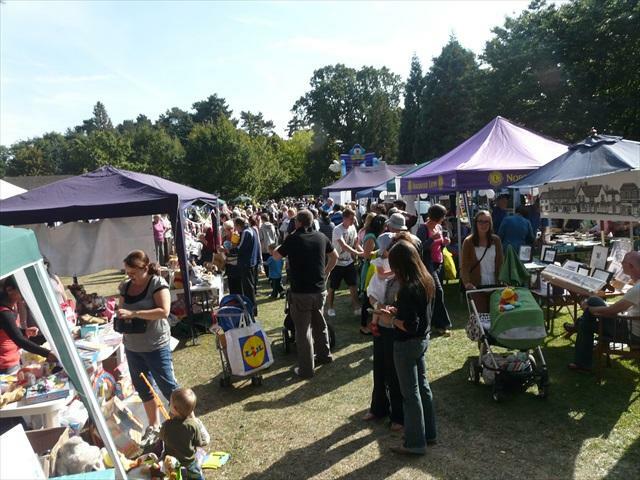 The 2018 Pinner Village Show will take place on Saturday September 8th in Pinner Memorial Park, Chapel Lane, Pinner HA5 1BA. It will be open to the public from 11:30am to 5.00pm, Nick Hurd MP will perform the opening ceremony. There will be more than 50 stalls selling goods and promoting local organisations plus all the old fairground ride favourites, the petting farm, the ride-on model steam train and the Scouts climbing wall. The food and drink area, with licensed bar, will cater for all tastes, and live entertainment will include Punch & Judy, the Glen Trew Pipe Band and local band, Simply Gray. Visit our main Pinner Village Show page for more information.